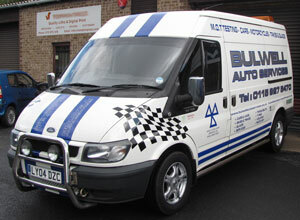 From £35.00 for a car oil and filter change. From £68.00 for an interim service on a petrol engine car this includes replacement oil, oil filter and spark plugs and a thorough check and visual inspection. From £78.00 for an interim service on a diesel engine car this includes replacement oil, oil filter and a thorough check and visual inspection. From £135.00 for a full service on a petrol engine car, this includes replacement oil, oil filter, spark plugs (not including Iridium or Platinum Tipped), air filter and fuel filter (pollen filter extra) and the vehicle is thoroughly checked and inspected (including stripping where required). This also includes a forte fuel treatment and oil flush. From £155.00 for a full service on a diesel engine car, this includes replacement oil, oil filter, air filter and fuel filter (pollen filter extra) and the vehicle is thoroughly checked and inspected (including stripping where required). This also includes a forte fuel treatment and oil flush. From £120.00 for a motorbike full service (air filter extra). From £50.00 for a 2 stroke scooter service (air filter extra). From £65.00 for a 4 stroke scooter service (air filter extra). Car and motorbike collection and delivery available. A courtesy car can be provided (subject to availability). Half price MOT if carried out at the same time as a full service. All prices are subject to VAT at the applicable rate.